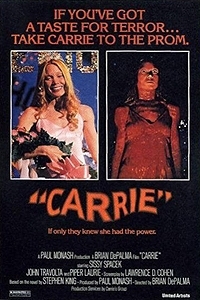 The Critics Classics presents Carrie at the Elk Grove Theatre on Wednesday, October 10 at 7:00 PM. Admission $5. The Critics Classics will be in conjunction with the Chicago Film Critics Association. There will be an introduction to the film and a short Q&A after.